The Institute has been able to conduct a wide range of activities and have a national and even international impact (for details click here) because of support from individuals, foundations, the University of Kentucky and a state match. That match will expire July 11, all too soon because of poor economic conditions in the nation and even worse conditions in the news business, from which we had hoped to gain most of our support. Perhaps ironically, the financial squeeze on metropolitan newspapers and other changes in the news media have made all the more important the Institute’s vision of helping rural America through journalism, because most major papers and broadcast outlets have abandoned coverage of rural areas. That has left a vacuum that rural news media must fill, covering issues and setting the public agenda in their communities. The Institute helps them do that with the blog, its website and its network of academic partners at 28 universities in 18 states, from Maine to Texas to Alaska. For recent details on that work, click here. But we are well short of matching the state money, so unless a last-minute angel can approximately double what we have raised already, we will get less annual income from the endowment. That means we will have to reduce our activities and/or rely more on funders with specific issue agendas. You can help ensure the Institute's independence and future work by giving to its endowment. You may send a check to us at 122 Grehan Bldg., UK, Lexington KY 40506-0042, made out to the University of Kentucky with "Rural Journalism" on the memo line, and mail it in time for us to get it by July 11. Or, you may donate online at https://giveto.uky.edu/CIS_p/cis.htm. Go to the gift-designation box and select "Institute for Rural Journalism and Community Issues Endowed Fund for Excellence." Thanks for your consideration and support. No postmaster, declining usage, and an out-dated and unsafe facility were reasons postal officials gave Minerva, Ky., residents for the possible closure or consolidation of their post office, Marla Toncray of The Ledger Independent in Maysville reports. The overarching reason appeared to be the missing postmaster. Bob Redden, district representative in Cincinnati for the U.S. Postal Service, "said time and again it is locations around the country currently without 'sitting' postmasters that are being reviewed for closure," Toncray reports. "The Postmaster General has imposed a hiring freeze to replace retiring postmasters over the last year and half." Last week we reported that almost three-fourths of the 26 million Americans without high-speed Internet service live in rural America. Federal Communications Commissioner Mignon Clyburn pointed that out at the 2011 Rural Assembly in St. Paul, Minn., yesterday talked about the FCC's role in expanding rural broadband. "It is unacceptable to me that so many citizens are being left behind. Rural residents need to have the same access to broadband services and applications as their urban counterparts," Clyburn said, citing data from the FCC Chairman's Rural Broadband Report that suggests a connection between broadband levels and and education and income levels. Clyburn spoke of commission policies that promote broadband availability, but emphasized those efforts are not enough. "We also have to address the significant adoption gap for low-income and people of color," she said. "The message Clyburn sent — one not heard enough — was that size doesn't matter. Yes, most people have broadband connections. But not everyone," Bill Bishop of the Daily Yonder writes. To view Clyburn's speech, click here. To read the speech transcript, click here. This week during White House budget meetings, the Obama administration made an important announcement about its position on agricultural subsidies and direct payments, which some farm interests have indicated a willingness to eliminate. "The administration favors basing farm programs on producer need, and intends to push that approach for future program cuts," Agriculture Secretary Tom Vilsack told reporters. The state of Michigan has approved the first permit for a coal-fired power plant under the new federal regulations requiring the best available control technology for new industrial sources of air pollution. Five percent of the plant's fuel will be woody biomass, "which state officials decided would cut the plant's carbon-dioxide emissions," reports Gabriel Nelson of Environment & Energy News. "Fallen trees and other dead plants release the gas anyway if they are left to decompose." The state concluded that carbon-capture and storage technology "was not available or affordable." Is your local school board making news by cutting expenses? It's one of many. Cuts were expected in 84 percent of more than 400 school districts surveyed by the Center on Education Policy in Washington, D.C, Christina Samuels of Education Week reports. The trend is the same in urban, rural, and suburban districts. The survey, conducted between February and May, also found that about 70 percent of responding districts received less money in 2010-11 than the previous year, Samuels reports. Of those, 85 percent made staff cuts, with 68 percent cutting staff in non-core academic areas and 54 percent making reductions in core areas. Furloughs and reduced benefits were mentioned as other ways districts saved money. For the 2011-12 fiscal year, 57 percent of schools expecting more funding cuts an, anticipate a reduction in teaching jobs, and 50 percent plan to cut administrative jobs, Samuels reports. "School people are just running out of ways to limit spending," Jack Jennings, president and chief executive officer of the Center on Education Policy, told Samuels. "They're just at their wits' end." (Read more) To see the center's full report, click here. Those birds are scavengers, and they build up lead in their systems from animals shot but not harvested by hunters. "When lead projectiles hit large mammals they shatter, impregnating swaths of soft tissue as wide as three feet with toxic fragments," Williams writes. "Just one the size of a BB can fatally poison an eagle." The University of Minnesota's Raptor Center in St. Paul received 117 lead-poisoned bald eagles during the winter of 2009-2010. Of the 46 with visible symptoms, 38 died or were euthanized, Williams reports. There have been 276 documented cases of lead poisoning in condors since 2000. "So far 130 species have been known to ingest lead ammunition. There is no such thing as a 'safe' or 'normal' blood-lead level," Williams writes. He blames the National Rifle Association, National Shooting Sports Foundation, and Safari Club, for their lobbying against legislation to limit the use of lead ammunition and for failing to promote non-toxic steel ammo. 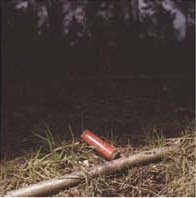 To read the NSSF's view on lead ammo, click here. To read the entire Audubon article, click here. Rising prices for feed grains are forcing chicken and turkey companies to cut production and jobs, a leading poultry executive told the Senate Agriculture Committee this week. 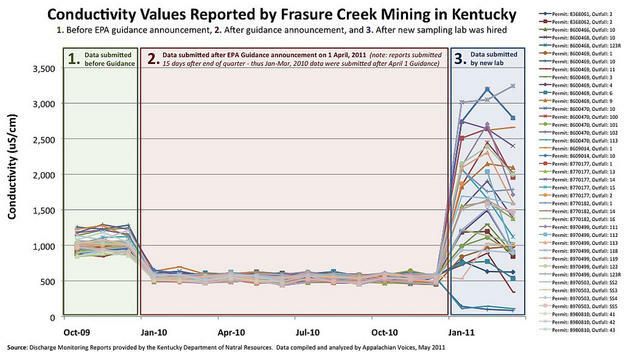 "Two coal companies, accused by environmental groups of polluting Eastern Kentucky streams, continued to dump pollutants into streams at higher levels than their permits allow after an agreement with the state to correct the problem," Ronnie Ellis reports for Community Newspaper Holdings Inc., which has papers in the region. 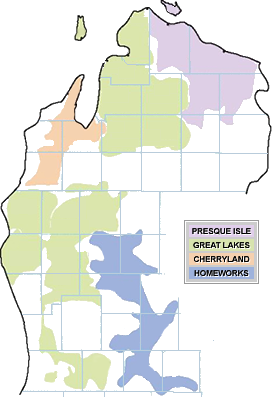 Frasure Creek and ICG reported their latest violations to the state. Ellis reports the companies' reports show "pollution levels as much as eight to 15 times above allowable, permitted levels of several pollutants," according to affadavits filed by Donna Lisenby, director of water programs for Appalachian Voices, one of the environmental groups, and her assistant, Eric Chance, in Franklin Circuit Court in the state capital of Frankfort. "In the proposed settlement worked out by the cabinet and the coal companies in December, the problems were attributed in part to errors on the DMRs and to inaccurate or faulty testing by outside laboratories, Ellis reports, then quotes Lauren Waterworth, co-counsel for the environmental groups: “These most recent violations are indicative of a true pollution problem and not just an administrative or paper violation. 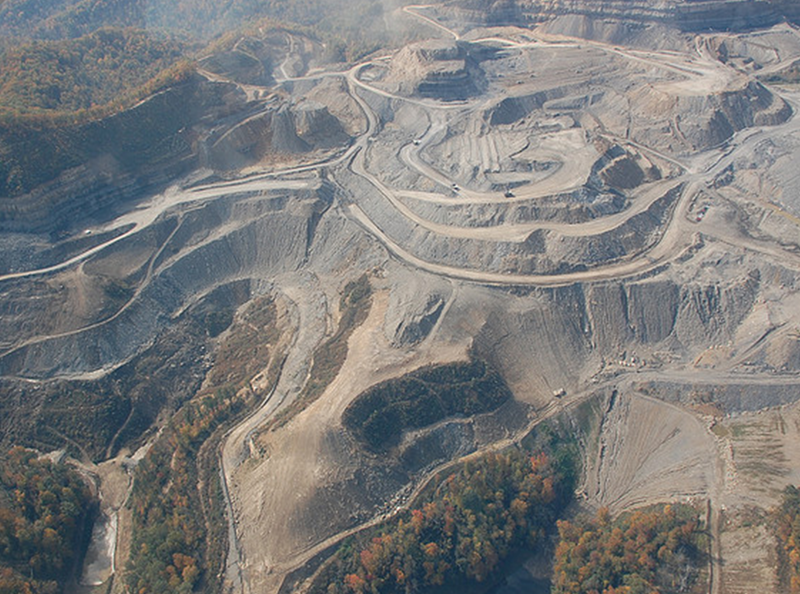 It shows state enforcement has not been effective.” (Read more) For more from Appalachian Voices, click here. The National Rural Assembly began today in St. Paul, Minn., and will continue until Thursday. The Rural Blog had planned to be there, but an extension of a critical fund-raising deadline prevented our attendance. Next year, we promise! But the Daily Yonder is there, and co-editor Bill Bishop has already posted items about local leadership, technology and transportation. 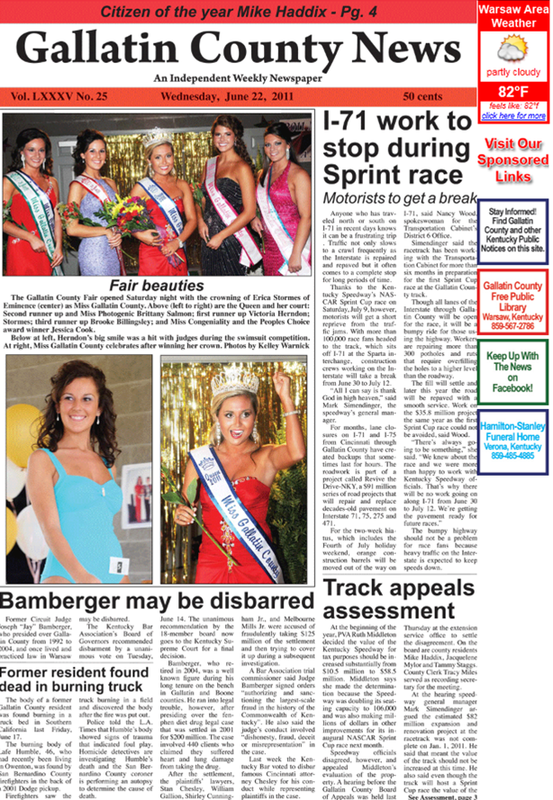 The 2,700-circulation weekly is publishing an advertising tabloid and printing 10,000 extra copies for the local Chamber of Commerce to distribute, and sending three people to cover the race, co-owner Clay Warnick told Kentucky Press Association Executive Director David Thompson. "Any plans to make your coverage more timely by using your website?" Thompson asked. "After all, by the time the paper comes out the race results will be days old. Or by Facebook? or Twitter? or other social media? "No," Warnick replied. "We are old-school print mavens." And old-school accountability journalists, too. Below the paper's main story last week, about major road construction going on hiatus for the races, was a report on the speedway appealing the county property valuation administrator's huge increase in its assessment, from $10.5 million to $58.5 million because it had finally landed a Sprint Cup race and doubled its seating capacity. (Click on page for larger version) To read the entire interview, click here. 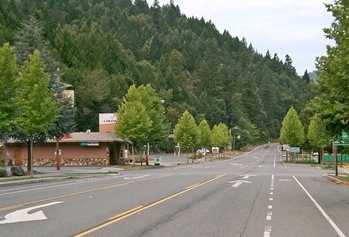 Small towns bisected by major highways might learn from Willow Creek, Calif. State Highway 299 once widened to five lanes as it entered the town, presumably to let thru traffic continue at highway speed while locals made turns. But many drivers saw the stretch as a chance to make time on the Trinity Highway that winds and climbs through the Coast Ranges east of Eureka, and "might pass other vehicles at 70, 75, 80," Laura Tillman writes for the Daily Yonder. The increasing likelihood that ethanol will lose one or both of its federal tax breaks does not appear to have slowed plans for another plant to make ethanol from cellulose instead of grain. DuPont Danisco Cellulosic Ethanol has agreed to buy land in Iowa for "one of the world’s first commercial-scale biorefineries to produce fuel-grade ethanol from cellulose," the company announced today. Here's the latest chapter in the story of rural communities fighting back to save their local post offices. Bill Shea of the Messenger News in Fort Dodge, Iowa, reports state officials have agreed to "ask Congress for a moratorium on future post office closures," and are even suggesting court action. Lohrville Mayor Donny Hobbs, who led Saturday's meeting at Iowa Central Community College, said he will send moratorium requests to the National Governors Association and the Postal Regulatory Commission in addition to Congress, which he will ask "to consider changing the rules governing the Postal Service," Shea reports. Iowa Gov. Terry Branstad, a Republican who supports the moratorium request, suggested the group ask for a "blue ribbon commission" to examine the Postal Service and consider class-action lawsuits against it, Shea reports. Randolph Mayor Vance Trively, said residents of Randolph, Iowa, have already "pledged $10,000 to pay for a federal lawsuit against the Postal Service." In Iowa, 70 post offices and a mail sorting facility in Fort Dodge could be closed, Shea reports. In Wyoming, at least six post offices are being considered for closure. For a story about one, in Cora, Wyo., click here. A study in Germany has discovered what we presumed to be true: Rural lifestyles are less stressful than urban lifestyles. In a paper in the latest issue of Nature, researchers led by Andreas Meyer-Lindenberg of the University of Heidelberg's Central Institute of Mental Health in Mannheim reported differences in how the brain reacts to stress caused by other people. They "had volunteers lie in a brain scanner and solve math problems," which they expected to be easy but turned out to be hard, and a researcher "criticized their poor performance, saying it was surprisingly bad and disappointing, and telling the volunteers they might not be skilled enough to participate," Malcolm Ritter of The Associated Press reports. 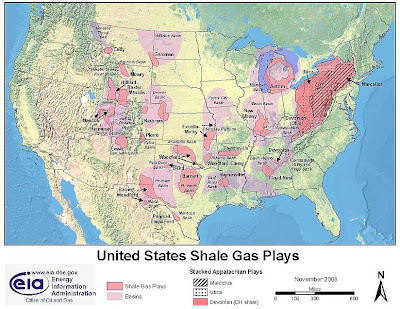 The boom in natural-gas production from hydraulic fracturing of deep, dense shales (click on impge for larger version) has generated many items on The Rural Blog, mainly because of its economic and environmental implications -- but also because of the widespread belief that the boom will be big enough to alter the nation's energy menu. "But the gas may not be as easy and cheap to extract . . . as the companies are saying, according to hundreds of industry e-mails and internal documents and an analysis of data from thousands of wells," Ian Urbina reports for The New York Times. 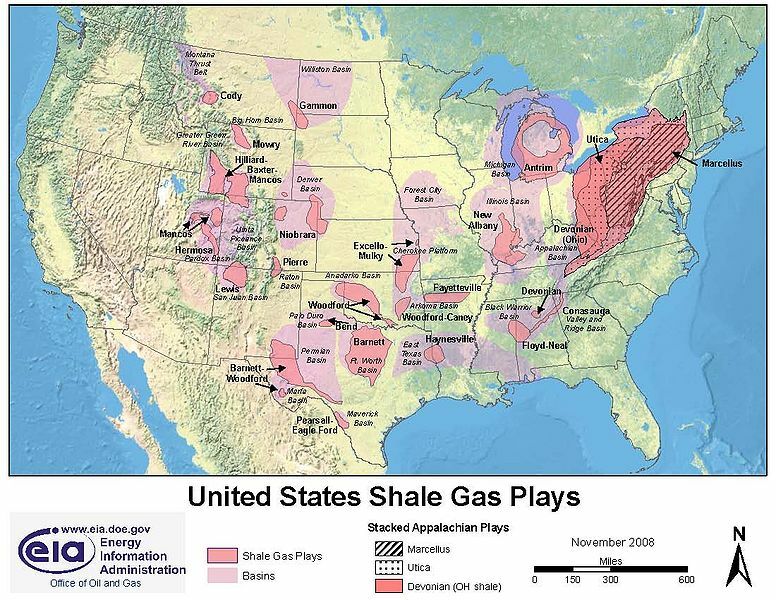 Urbina's package includes many of those documents, which reflect an old truth about oil and gas: It takes money to produce, and some in the industry make more money above the ground than below it, by flipping leases and selling fractional interests, often on the basis of strong initial production. UPDATE, June 29: Chesapeake Energy CEO Aubrey McClendon says the Times' article is "inaccurate and misleading," Tulsa World in Tulsa, Okla., and the Star-Telegram in Fort Worth, Texas report.